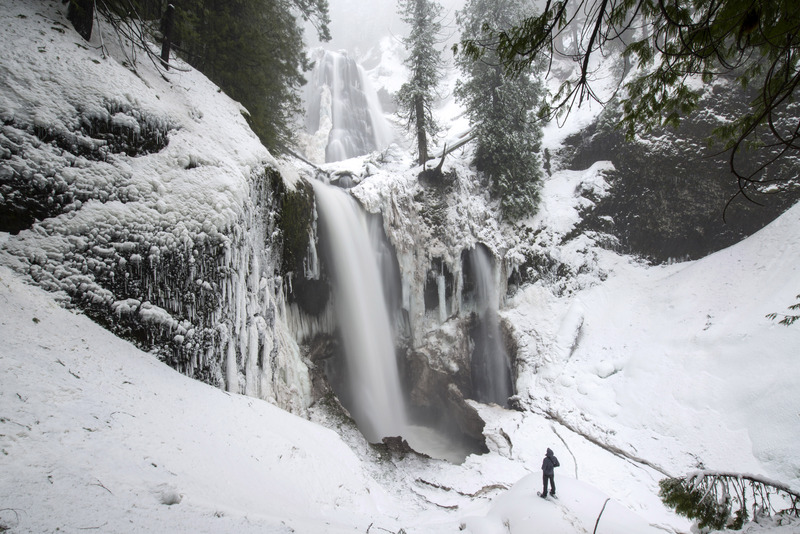 Chasing winter waterfalls in Washington State's Gifford Pinchot National Forest. Photo by Tyson Gillard. The winter season is in full swing, and as such we thought it fitting to kick off #12MonthsofAdventure with a snow-centric focus: snowventures. Snowventures lump together the spectrum of human-powered outdoor winter activities that take place on snow: snowshoeing, cross-country skiing, winter fat biking, winter camping, downhill and backcountry skiing and snowboarding, ice-climbing, sledding—heck, even ice skating. Your mission, if you choose to accept it: read up and get outside in the snow! Below is our list of suggested articles. Find our supporting adventure content, as well, and slake your thirst for snowventures.